The Smurfs Tour Le Touquet – for TWIN TOWN 2018! For the second time a number of The MGroup team took part in the Twin Town Challenge, a charity car rally to Le Touquet, which is twinned with Witney, where the firm is now well established in it’s new office. 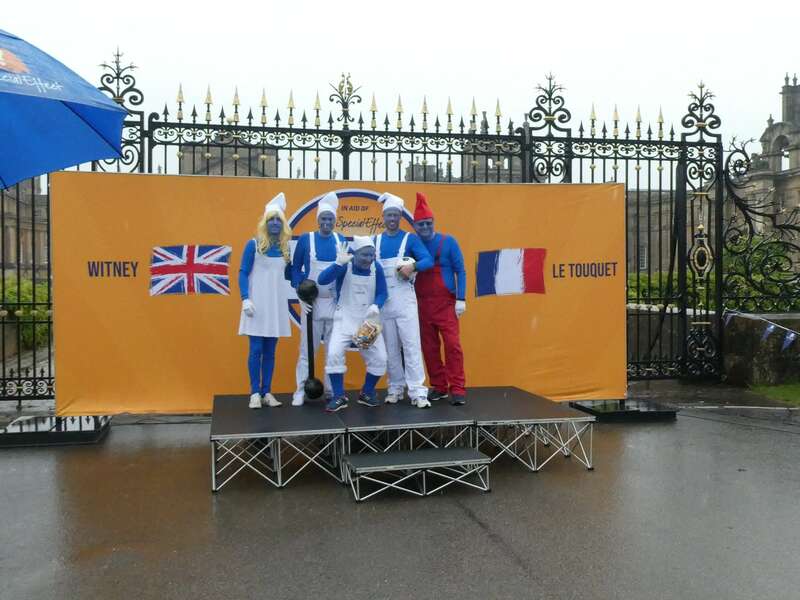 On Friday 25th May 2018, one hundred cars costing less than £500 left from Blenheim Palace in Oxfordshire and headed to Le Touquet in Northern France on the Twin Town Challenge 2018. Over the Spring Bank Holiday weekend, the teams will complete a number of fun points based challenges to raise money for Charlbury-based charity SpecialEffect. Teams all have a fancy dress theme and The MGroup’s is Smurf-based this year with the slogan “because we’re Smurf it”. This year’s team was made up of Peter and fellow Partner Darren Green, Ian Walker who heads up the firm’s Business Development, George Tattersall and Steve Basham who both trained and qualified with The MGroup. To donate and help support SpecialEffect, please visit our fundraising page https://mydonate.bt.com/fundraisers/themgrouppartnership. This will remain open for donations until the end of August 2018.